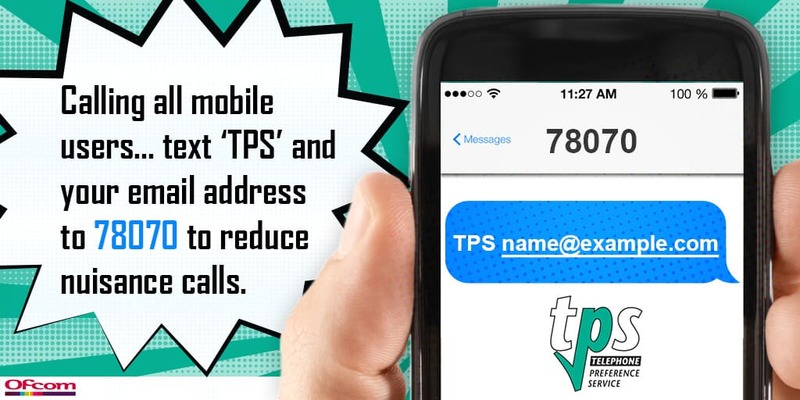 Mobile phone users can now send a simple text message to opt out of unsolicited sales and marketing calls. Ofcom provides guidance for consumers here. Texts to the 78070 number will be charged at your providers standard message rate.